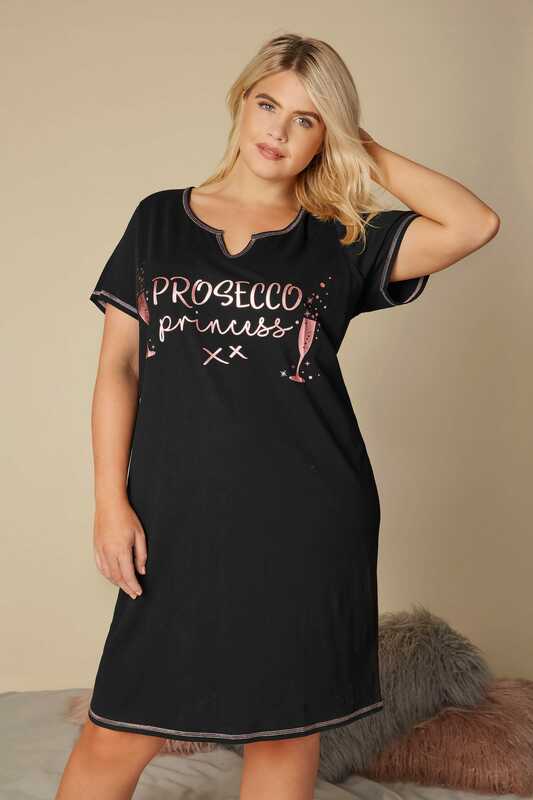 Introduce fun and playful prints to your nightwear line-up with this nightdress. 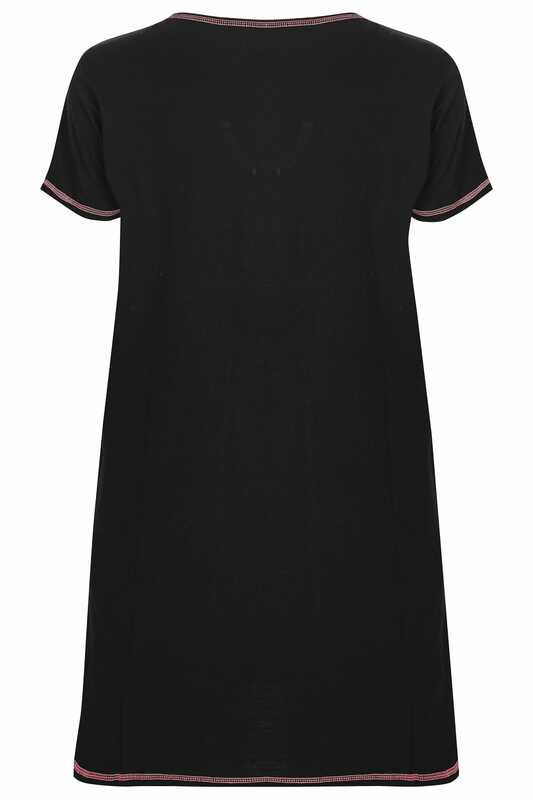 Made entirely from cotton, it sits at a knee length and features a notch neckline and short sleeves with contrasting stitched detail. 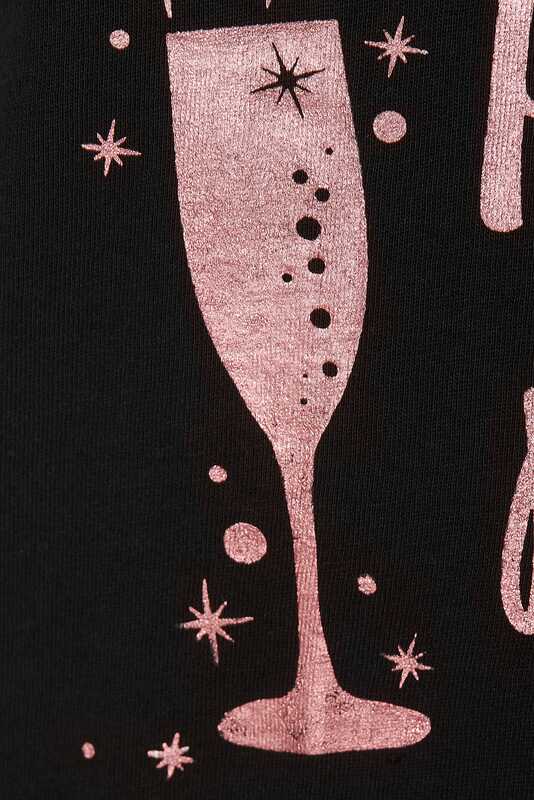 A simple style elevated by a 'Prosecco Princess' slogan print featuring a pink foil finish.